We spent four weeks shaving every day with some of the sharpest blades known to man, and we’ve picked the Feather – Artist Club SS as the best straight razor. With a clever injection-style blade loading system and an easy-clean design, this razor from Feather is light but carefully balanced. Barbers and shaving enthusiasts alike love how sharp Feather’s long-lasting blades are, with average life of 10-20 shaves per blade. The Parker – SRX is our runner-up pick. There are a few differences between shaving with a straight razor and a safety razor (the latter category includes basically any razor that’s T-shaped). The biggest difference is the lack of a safety “bar” or “guard” between you and the blade that guides you to a “correct” shaving angle. A straight razor gives you only the naked edge. The wedge shape of a straight razor can still guide you to a good angle for efficient shaving, but it doesn’t force you into an angle the way safety designs do. This means that more skill is required to shave with a straight razor, but it also means that you can cut through stubble that would clog a safety razor. What’s more, without a guard you can see exactly where the edge is cutting, and that’s why straight razors are so much preferred by barbers doing precise “lineups” for hair edges. It’s sometimes possible to find a safety razor that cuts at exactly the right angle for your facial hair growth pattern, but with a straight razor the only thing that’s standing between you and a perfect shave is technique. It takes some time to get a feel for that angle, but the rewards are very satisfying. The hardest part of shaving with a straight razor is making your skin as flat as possible so that you can get the edge of the blade right on the skin without nicks. The jawline is especially tricky to shave with a straight razor, but you can stretch your skin so the part you’re shaving will be either above or below the jawbone and lying flat. There’s some debate about the “best” way to hold a razor. The handle can swing almost 360 degrees around the blade, and some shavers prefer to leave it sticking out straight, while some prefer it folded to one side or the other to move the balance closer to the blade. Some even shave ambidextrously, switching hands when they switch sides of the face. The options are dizzying, but most will quickly find a comfortable, natural grip in the dominant hand and adjust as needed for different parts of the face. Alum has been used for everything from water purification to printmaking, but it has a special place in the shaving cabinet because of its ability to sooth irritated skin. You can also make fingertips less slippery when shaving by rubbing them on the alum block. The angle of blade to skin isn’t fixed, the way it is with a safety razor. A shallower angle (with the back or “spine” of the blade closer to the face) will do less harsh scraping against your skin, but a steep angle (with the edge digging in more) may be required to get under your nose and into the contours of your lips. Some razors are known for audible feedback often described as “ringing” as the edge cuts through stubble. Thin-ground blades like those made in Germany since the late 19th Century are sometimes called “singing” razors. All razors will make some sound as they cut your stubble, and if you listen closely you can use this feedback to learn how the angle of the blade to skin changes the way a razor cuts. Every razor system takes some getting used to. Trying a straight razor can easily lead to tiny nicks and some redness. 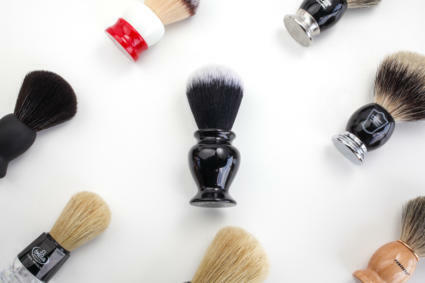 With time, your technique will improve and your skin will adjust to the closer shave; it’s not something to pick up for the first time the day of your wedding or a big interview. Shaving with a straight also takes more time than shaving with a safety razor (how long it takes depends on your skill and your nerve). An alum block (to help minor irritation) and a styptic pencil (to stop any bleeding), though, are all you really need to deal with the adjustment period. It’s certainly possible to hurt yourself with a straight edge, but the sharp blade encourages cautious behavior. You’re more likely to get a cut from careless or rushed shaving with a modern disposable razor. Many will recommend that you use a straight razor only on your cheeks at first, then carry the technique of careful grain-following and skin-stretching with a safety razor to your jaw, neck and lips until you gain confidence. Feather’s Pro Guard blades are a bit like training wheels: You’ll be excited to graduate to better blades, but you may learn to appreciate them in the beginning. If you’re excited about learning with a straight blade, but you’re not sure about how steady your hand is, there’s an option that gets you almost all the way there with less risk. Our top pick, Feather’s Artist Club SS razor, gives you the option of using a “Pro Guard” blade that will lessen nicks and accidental cuts. There are dozens of good how-to videos on Youtube; this one from Lynn Abrams (founder of Straight Razor Designs and Straight Razor Place) is one of the most comprehensive, but this video covers more skin stretching for faces that aren’t as ideally-shaped as Lynn’s. The biggest barrier to success when starting out with a traditional straight razor is maintenance. Any straight razor will almost certainly be sharper than the sharpest kitchen knife you’ve ever used, but to give a smooth irritation-free shave the edge needs to be perfect and stay that way. The stakes here are high: you’re not slicing charcuterie for Instagram pictures, you’re shaving hair off some of the most sensitive skin on your body. 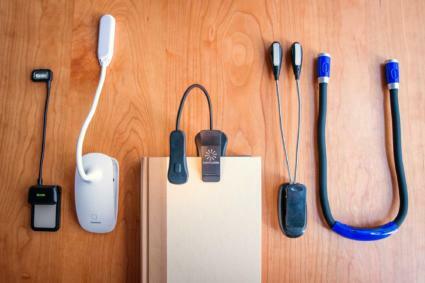 Michael Leen has a good rundown of the basics, including some videos and animations. The Shave Library wiki has a more in-depth collection of info gleaned from enthusiast discussions. This page is a collection of Lynn Abram’s famous posts on his “pyramid” methodology for honing razors. Even with a brand new straight razor, it’s highly recommended to send a razor out for sharpening by a professional “honemeister.” If you want to learn to hone your own gear, the edge from a pro’s hones will give you something to which you can compare your own developing skills. There are many, many experts to choose from. 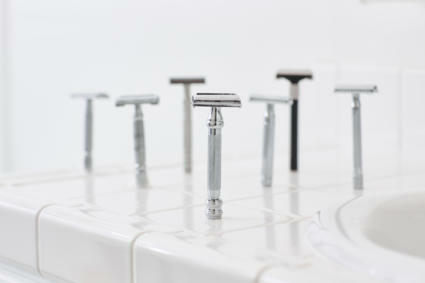 Maggard Razors or The Perfect Edge are some of the best-known and considered very reliable. 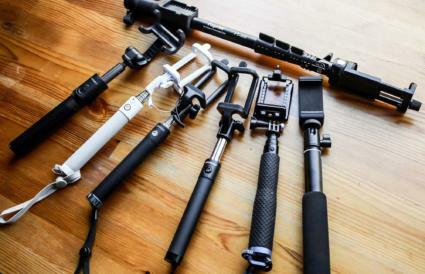 Anthony Sculimbrene did a very interesting “on location” recording with Howard Schechter of The Perfect Edge on his Gear Geeks Live podcast. If you want an idea of what goes into getting a straight razor perfectly sharp, have a listen. Once you or a professional get a razor as sharp as possible, the edge can be maintained for a long time with only a leather strop. Cutting hair typically won’t blunt the blade for a long time, but the micron-thin edge can become misaligned and needs to be carefully smoothed back into shape so it can shave perfectly. This is done by carefully sliding the blade backward over the strop’s firm, smooth leather. A set of strops with ultra-fine abrasive pastes applied can also replace a set of finishing hones for occasional maintenance of an edge that starts perfect and doesn’t need anything more than a bit of refinement. Touch-ups like this shouldn’t need to be frequent, but different steels and different hairs will wear against each other at different rates, so it’s hard to set a guideline. Once you acquire gear to re-polish an edge yourself, it’s easy to get more and more picky about how perfect your edges are and pull out the strops or finishing hones every month or so. If all that talk of maintenance leaves you lost, confused and ready to give up any hope of owning a straight razor, stay with us. There’s an answer to your concern. We considered testing some budget-priced straight razors, but the reputation of so-called “shave-ready” bargain straight razors is pretty bad. Even $100 razors from old-world brands like Böker and Dovo are often not quite sharp enough for a good shave out of the box, and there are even well-respected “honemeisters” who get troubling reviews about ‘budget restoration’ razors shipping with less-than-ready edges. Instead of talking about products that may or may not be ready to use when you buy them, we decided to cover a specific area of the straight razor market that’s a bit more beginner-friendly: the disposable-blade barber razor. Disposable-blade straight razors like the Durham Duplex and Weck Sextoblade were invented around the turn of the 20th century, but the concept carved out a niche when evolving health code standards began to prohibit barbers from using the same blade on multiple patrons. The biggest advantage to a disposable blade is that you’ll never have to sharpen it or second-guess how sharp it could be if a pro were doing the maintenance. So long as you can get replacement blades for your disposable-blade straight razor, every shave can be exactly as smooth as the last. designed for razors like our top pick, these blades last long enough to be economical, but you can get a fresh blade any time you feel your shave dragging. The other advantage to a disposable blade razor is price: these are tools made to be affordable for working barbers and beauty-school students, while the good solid-blade straight razors of today are handmade for enthusiasts and collectors. Despite the low cost of initial purchase compared to a handmade German razor, the cost of the refill blades is something to consider. They’re no more expensive than safety razor blades, though, and the cost of the more expensive disposable blades for a year would barely buy you a professional sharpening for an old-school blade. There are a few other drawbacks to disposable blades. For one, the blades and the razors that go with them have evolved to be perfect for shaping sideburns, fades and other hair styling techniques. The blades are shorter and thinner, the frame isn’t as helpful for finding a gentle cutting angle and the lighter weight might trick a novice into using too much pressure. The fact that you don’t even have to think about maintaining the blade offsets these concerns, but it’s something to be aware of. We set a budget of $80 per straight razor, and that finished any debate about pricier solid-blade straight razors. There are some “affordable” solid-blade razors that are said to be great if you know how to get them sharp, but they often don’t come ready for a comfortable shave. Likewise, antique razors can be found nearly everywhere and are sometimes a bargain, but you never really know what you’re going to get. We polled enthusiasts on the web and local barbers, checked out innumerable Youtube reviews, and selected the highest-rated of three popular and affordable disposable-blade systems. Startup Irving Barber Company has a cool magnetic loading system that we investigated, but isn’t available through major retailers and is on the pricey side. There are many, many other razors in the under-$20 price range, but they all have similar characteristics. 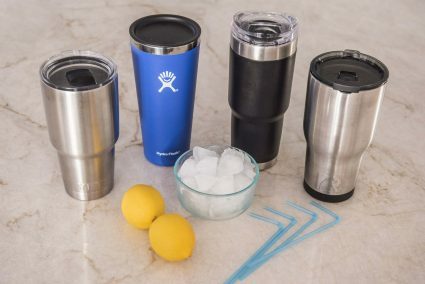 We chose the Equinox because it’s a best-seller on Amazon with a very good feedback score. We expected that the Parker would be better, but we wanted to see just how much difference $15 makes. Double-edge blades: These razors use the same double-edge or “DE” blades that have been popular in safety razors since King C. Gillette started selling them in 1903. These blades are still widely available in drug stores, supermarkets and other places where you find grooming products the world over. You have to snap or cut these blades in half. Folding the blade until it snaps is very simple and safe, especially if the blade comes in a paper wrapper. You can also buy the blades pre-cut if you’re never going to use any in a safety razor or if you’re working in a barber shop and can’t spend time snapping blades between customers. “Mini Hair Shaper” blades: Personna sells their own version of another classic safety razor blade that died out a long time ago: the Schick Injector. These are already one-sided blades, no snapping required; otherwise they’re quite similar to the DE blades, but a bit thicker and longer-lasting. Feather Artist Club blades: These are perhaps the best blades you can buy for any razor. 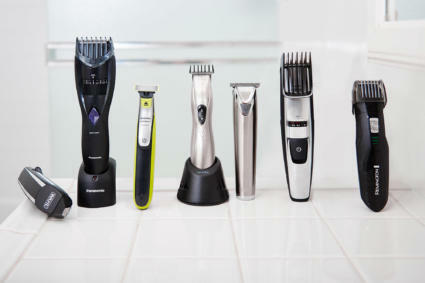 An entire category of safety razors was invented so that people who love these blades could get the sharpness and long-lasting performance in a less-scary daily-shaving package. The Feather “Artist Club” straight is what these blades were designed for. They’re thicker and approximately 50% longer than a DE blade. 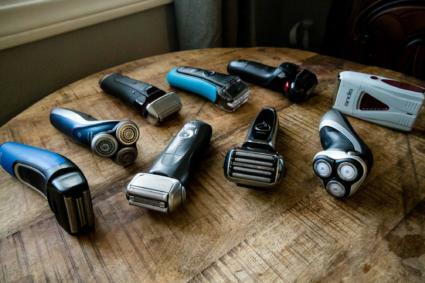 This isn’t a factor for razor performance, but it might be important for you if you’re buying into a system with the intent to use it every day and won’t always have a backup razor ready to go. 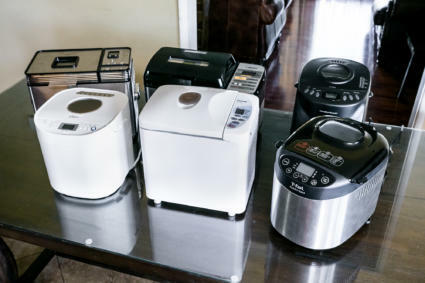 You can buy blades for all of the systems we tested on Amazon and in some specialty stores, but only the DE blades are widely available at local retailers. DE blades are available from so many manufacturers, it’s a bit tricky sometimes to decide which blades to buy. Sample packs like this are an easy way to experience the entire gamut. Refinedshave.com has methodical and rigorous reviews of DE blades that can help guide your selections. We tested these razors for daily shaving for four weeks. Our benchmark for shave quality is a small collection of vintage straight razors from makers like Boker, Wade and Butcher, and a favorite from the Electric Razor Co. 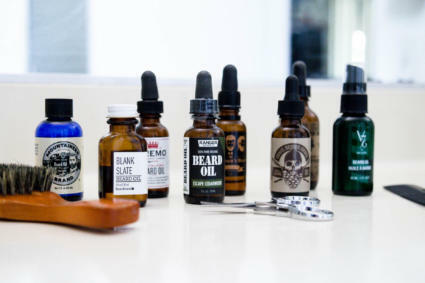 While our tester typically uses a double-edge safety razor for daily shaving to save time, he used his straight razors exclusively for a week before beginning tests with this lineup. The biggest difference between the straight razors we tested and “big boy” solid-blade straight razors is how sharp they are. Some say their vintage straight razors or modern custom-made razors can get as sharp as a disposable blade, and that’s a real payoff for time invested in developing the skills required. These disposable blades are always sharp, though, for less than 10¢ per shave. If you’re shaving against the grain of your facial hair to get as close as possible, the first shave with a new extra-sharp blade can leave a little bit more irritation from a machine-sharpened edge than a straight razor carefully smoothed against leather would. People say that traditional straight razors are “more forgiving,” partly for that reason. Some obsessive types will actually strop or run the extra-sharp blades across a cork to smooth out the edge. It’s not required, but if you find that the blades are irritating your skin it’s something you can try. We rated the quality of these razors based on a few factors. Looking at the fit and finish of the blades and handles tells you about the care that went into a design; a shiny chrome plating is one thing, but a razor that folds smoothly and is easy to keep clean is most important. Materials were considered in the quality score; certainly you can get nicer handles and finishes on an expensive heirloom-quality custom or high-end factory-made straight razor. The razors we tested are comparable with the quality you’d find in economical models with Bakelite handles from the turn of the 20th Century, and will serve for a lifetime if you take care of them. Perhaps the most important test of a razor is this: how easy is it to load a blade and get a smooth shave? We carefully noted any difficulties and challenges in daily use of the razors and gave them a design rating on a scale of five. The balance and weight of each razor was good; even compared to the “gold standard” of a mid-size ⅝” antique straight razor, these new models were under control and capable of doing the job at hand. Efficiency and blade exposure are related, but not identical measurements. Blade exposure is simply the distance the edge of the blade protrudes from the front of the ‘holder.’ We measured this with calipers; given the flexibility of the blade edges there’s a .1 mm margin of error on those numbers. Efficiency was a more qualitative assessment of how quickly and easily we could get a baby-bottom-smooth shave with a razor system as a whole. A smooth shave is achievable with each razor, but some will get you there with fewer passes or a more gentle shaving angle. The Feather – Artist Club SS razor is a truly great piece of gear. Sleek curves and modern materials remind you that this is a razor born in the era of injection-molding and wind tunnels, but the balance and smooth pivot remind you of the long tradition of folding straight razors. The handle of the Feather – SS, while not as shiny as Parker’s or as traditional-looking as the Monsieur Charles, is a great design. You’re going to be holding the shank of the metal blade-holder more than the plastic handle, though, and that’s also carefully shaped to give you enough material to hold onto. This razor is carefully designed for the demands of barbershop perfection. 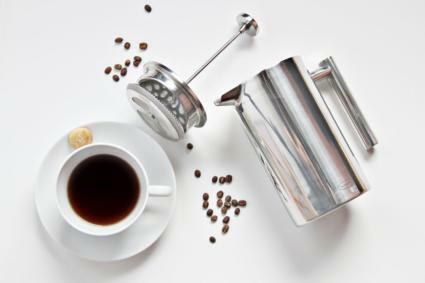 It can be a magnificent part of a weekend ritual or a way to add discipline and skill to your daily routine. The texturing on the shank of the Monsieur Charles is just a bit easier to hold with wet hands, but the Feather still has a grip that inspires more confidence than the sometimes-slippery thin steel of the Parker and Equinox razors. If you find any razor slippery, shower-shavers claim that rubbing your fingers on an alum block can help you grip through even the messiest water and shaving cream. Hands-free injecting and disposal of blades is just one more sign of the careful thought and attention that went into this design. The razor clamps the blade with a spring-loaded mechanism, but everything slides apart in one step for easy cleaning. Blade loading isn’t perfect: despite the blade magazine’s peg-and-socket positive alignment system (undoubtedly inspired by the bygone Schick Injector magazines with their metal-tab “key”) the blades don’t always line up perfectly. If you squeeze the blade holder open with the blade pointed up, though, the blade will always settle exactly where it needs to be. An innovation to the actual shaving performance of this razor is the cross-section of the blade holder: rather than a wedge, there’s a very slight “hump” on the side just before the blade, which is designed to help you stretch the skin and get a perfect angle of attack relative to your hairs. The system isn’t like a safety razor, but it is a relatively easy straight razor to shave with given how mind-bendingly sharp the blades are. Feather’s Artist Club line includes the option of Pro Guard blades with a foil guard that will make the shave a bit milder and help prevent the possibility of draw-cut slashes. Impeding the sharpness of the razor is kind of like putting training wheels on a BMX trick bike, but the guard may help you relax and concentrate on learning how to shave with scary-sharp blades. The foil guards on these blades help tame Feather's razor while you learn your technique. On the flip side of the learning curve, Feather’s Professional Super blades are thicker and wider, so the edge protrudes 0.2 mm farther from the razor body and will give you a more aggressive shave for extra-coarse hair or long stubble. Think of this as putting a turbocharger on a motorcycle: it’s kind of insane, and probably nobody needs it, but it’s cool that these exist. In the middle of the range are Feather’s Artist Club Professional and Professional Light blades. We tested the “Pro” blades. The light blades stick out 0.6 mm less and are thinner, so they should give a milder shave. Feather’s Artist Club line includes a few other razors, from the older plated-brass RG model (now harder to find) to the polished-steel DX. The RG and DX are more conventional “wedge” profiles, lacking the “skin stretching hump” of the SS model, and the DX can be ordered with stabilized teak wood handles instead of the autoclave-proof plastic of the SS. For a first-razor pick, the SS has all the right features and is a bargain. Each design is also available in a non-folding “Kamisori” model if you don’t care about maintaining western-tradition balance characteristics or folding it for safe storage. Feather has a few direct competitors in the Asia-Pacific barbershop market: KAI cutlery (owners of Shun, Kershaw and Zero Tolerance knife brands) makes a “Captain” series that’s very similar to Feather’s high-end razors and uses blades that are cross-compatible; KAI doesn’t have any solid distribution for the razors or even the blades in the U.S., though. Even rarer is the Schick – ProLine, which is reputed to be a compatible razor at a bargain price. They’re difficult to find but sometimes show up on ebay or international retail sites like Rakuten. Sam Seong and CJB also make budget-priced razors that are compatible, and those are a bit easier to find on Ebay. Feather remains the best buy, though if you find KAI Captain “mild” blades for a good price they’re supposed to be very good in the Feather SS. A straight razor is only as good as the sharpness of its edge, and the Feather – Artist Club SS is paired with a line of disposable blades as sharp as you will ever find. For those whose hands shake at the thought of blades this sharp, there is a safety-guard version of the blades that’ll help build confidence. The materials and construction on this razor are modern, but it accomplishes all the best goals of the straight razor tradition. Hands-free loading and blade disposal are icing on the cake, and it’s easy to see why so many professional barbers and stylists love this razor. Parker has been making safety razors in India since 1973, and started offering a line of straight-edge razors with the SR1 in 2009. The Parker – SRX is the evolution of the SR1 design, built with a one-piece handle rather than two separate pieces riveted together; the blade-holding section of the razor is identical across the Parker SR line. This razor is mirror-polished and impeccably styled. If you already use a DE safety razor, this straight will take your old-dog blades and teach them scary new tricks. Parker has made a solid, well-finished tool for barbers and individuals who want to get the very most out of the world’s most popular blade system. If you use a safety razor that takes double-edge blades, then this is a great way to try out the straight-edge-shaving experience without sinking any money into blades you might decide not to use. Blade retention is simple but robust: open the clip, separate the two halves of the blade holder (there’s a thumbnail cutout at the tip to make it easy) and place the blade’s v-shaped cutouts against the two posts. Slide the holder back together and pop, everything is solid. The locking clip that folds over the back almost seems unnecessary. The finish here is mirror-polished steel with clear, crisp, black-inked engraving. The look is retro, but with a touch of sophistication. It’s not quite as sleek as the non-reflective coating and sculpted handle on Feather’s razor, but it has a bit more character. Parker’s design for the “shank” or “choil” behind the blade is great. While this razor is thinner than the Feather and Personna, the shape encourages your fingers to grip just at the balance point of the razor. If you’re a shower-shaver, you may miss the grip-enhancing ‘jimping’ ridges on the Feather and Personna, but we were very happy with this design. Availability of double-edge blades, as we mentioned at the top of the article, is better than for any other blade type. 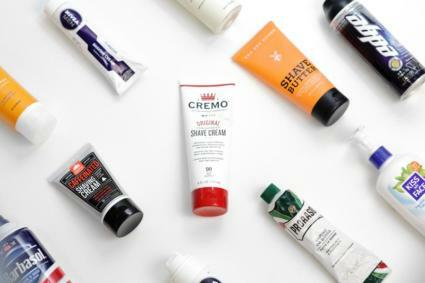 Almost anywhere in the world that sells razors and shaving supplies will have double-edge blades, and the list of great brands is too long to get into. We tried the five Shark blades Parker included and found them good, but not exactly great. Our tester prefers Feather’s ultra-sharp Hi-Stainless blades in his safety razor, and they work well here. The Derby blades included with the Equinox razor rank even lower for initial sharpness, and we don’t like the way they pull a little bit instead of cutting effortlessly. The one problem we had with Parker’s razor is a consequence of the otherwise-fantastic one-piece metal handle. Without pins to stabilize it, the handle is vulnerable to mis-alignment by bending or aggressive squeezing. The razor we received was very slightly skewed, so that the blade holder rubbed against one side of the handle when folding it in. This misalignment wasn’t serious enough to cause any problems, and it was quite easy to fix by inserting a table knife into the handle and tweaking it to one side. The misalignment did hurt the quality and design score for the razor, and if the pristine look of the one-piece handle isn’t something you care as much about, then the slightly-older handle designs in riveted steel, black or white plastic won’t have this vulnerability. The Parker – SRX is a beautiful razor. Its weight and grip balance the small blade perfectly for precise work. If you already use double-edge blades in a safety razor, then this holder will allow you to try occasional straight-razor shaves without buying different blades or worrying about maintenance. While this razor has a beautiful polish that will make it easy to keep clean, the one-piece handle is surprisingly soft and vulnerable to bending. The Monsieur Charles razor has a unique position as half-new, half-old; one part standard, one part proprietary. It takes blades that, while uncommon, are very similar to (but not compatible with) the once-popular Schick Injector series. This razor is sold for stylists trimming hair at salons, but it looks and feels closer to an antique straight razor than anything else in this lineup. Even the name has something charming about it: nobody seems to know who Mr. Charles is, but he must be an interesting guy. The blade fits securely on retaining studs as part of a sliding-tray-style holder, making this one of the better-designed systems. There’s no chance of the blade shifting or being loaded improperly. Unlike the Feather, though, you do have to pick up the blade and drop it carefully into place. Sadly, the blades are only half the length of the razor, which means you often scoop up shaving cream without doing any shaving. The blades are otherwise very efficient; it was easy to get a smooth across-the-grain shave even on heavy stubble. Ranking this razor was tricky. It’s an efficient design, but the half-length blade is a bit obnoxious. We left the efficiency rating at five because it cuts so well, but note the awkwardness. The Personna blades are sharp and long-lived. Most report five to 10 shaves out of these blades before they start pulling instead of cutting, which is much better than the longevity of the thinner double-edge blades. Even ‘expensive’ double-edge blades are a better value, though, so long as you get more than a few shaves out of each edge. Sadly, you’re also not going to find the blades anywhere but online or a few specialty shaving shops: even the beauty supply places we called hadn’t heard of them. We were mislead by online reviews into thinking that Schick injector blades would fit, but after a talk with Erik at West Coast Shaving, we got the facts sorted out. Ironically, you can fit Personna’s Mini Hair Shaper blades into a vintage or reproduction Schick injector razor, but you can’t inject them into the safety razors without the “key” that’s been left off of Personna’s blade magazine. (You can even see the empty space left for it in the molded-plastic packaging.) The price is good compared to other Injector-system blades, so Injector collectors sometimes re-load these blades into old Schick magazines. The Equinox straight razor is listed as Amazon’s best-seller in the category, but it’s for all intents and purposes a clone of Parker’s SR1 design. The handle is built differently and the edges aren’t as carefully sculpted to fit your fingers, but it holds a blade the same way and gives a very similar shave. Don’t let the photoshopped images on Amazon fool you; the finish here is rough. If you want a razor that looks and feels good on close inspection, buy the Parker or Feather. We noticed that if you close the Equinox all the way, the corner of the blade can touch the back of the handle that it rests in. On Parker’s razor, the retaining ‘cap’ stops the blade from folding that far into the handle; just another example of the little details you pay extra for. Razors used to be a very personal, very meaningful part of daily routine. Like the chair you sit in or the car you drive, your razor says something about what your attitude and habits are. If a modern cartridge razor is comparable to a luxurious but boring high-tech SUV, then the straight razor is a race bike: built for precision handling and unmatched performance. Like riding a motorcycle to work, buying a straight razor is going to be a dramatic change in routine for most people who choose to do so. It takes time and practice just to make it through a full-face shave without a spot or two of blood, but that practice builds a very real knowledge of your own face, hands and personal limitations. If you try enough safety razors you might find one with a design that suits your face and hair type and can get you this caliber of close, smooth shave. The straight razor doesn’t set any limits or hold you back from perfection. The Feather – Artist Club SS razor aims to give you all the tools you need to achieve that perfection with minimal worry over rust, blade degradation, or other distractions. 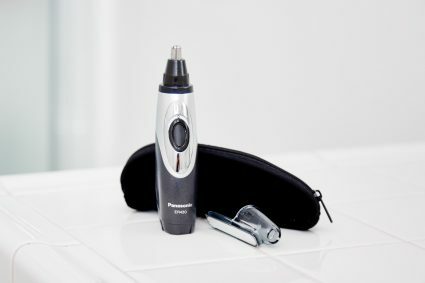 Rinse and shake this razor dry, and slide in a new blade at the beginning of the week or any time your shave feels less than perfect. Japanese design and precision manufacturing can help you achieve the most meditative shave experience known to man. These blades are sharp, and that’s what shaving is all about. If you’re already invested in traditional wet shaving with a safety razor, you’re probably already buying double-edge blades. The Parker SRX can give those blades a new sense of purpose, and maximizes your shaving budget for more new soap and aftershave. A great-looking razor that does everything it needs to. This isn’t a pinnacle experience in shaving, but it’ll get you close enough to see over the top.